There is a place I consider somewhat sacred – a place that I have been going to for decades. It is an orchard farm not far from my home. 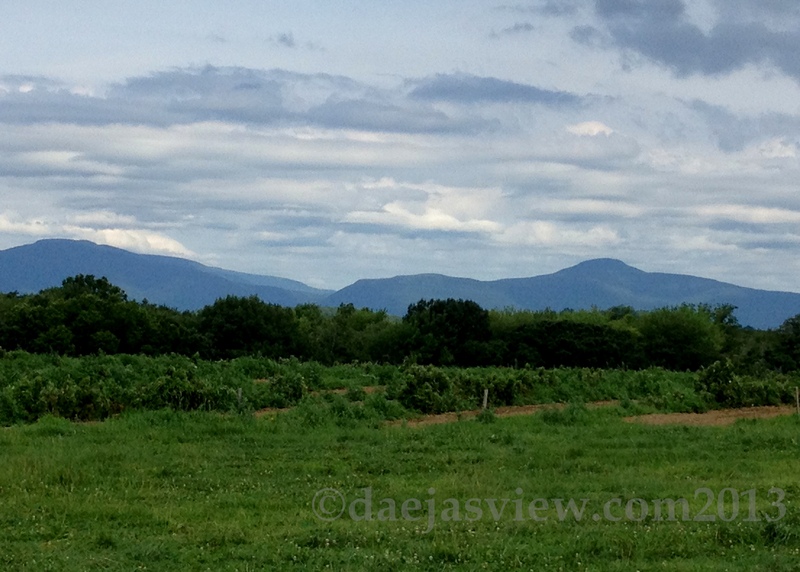 It has been the place I would go to pick berries, apples and asparagus before my children were born. When the babies came, I would take them out into the fields strapped to my chest. As they grew up, they carried their own buckets and ran through the rows each season, collecting and laughing, filling their faces with the sweet delight. It is a place that I have shared with family, friends and lovers. It is a place I have gone to alone, to process, heal and free myself from grief. When I come to this place to pick berries, I can feel my heartbeat quicken in anticipation. Once out in the fields, away from the stresses of life, the magic begins. Birds trill in the distance. The light in the sky shifts as clouds build and the sunlight moves, leaving blue shadows across the fields. Soft breezes caress the leaves, and my skin. The best time to come for berries is in the morning, just as the dew begins to dry, before the sun gets too intense, before too many people get there, and usually not on a Saturday or a Sunday when the weekenders arrive with their animated chattering, stripping the bushes before you of their ripened fruit. The best days to come are days that are not too hot or humid – days when there is a slight breeze. Today was one of those mornings, with a sun that was bright but not burning, and a gentle wind blowing. Blueberries tend to be easy, relaxing picking. With your bucket tied to your waist, they are mostly right there for the asking, a dusty gray-blue or a shiny bruised purple, beckoning. Gathering them this morning against the backdrop of cerulean mountains, the meditation set in. The plumpest, most enticing berries are the ones you have to reach deeper for, the ones underneath or at the center of the bush, hidden in those darker places that have not yet been discovered, or down at the bottom where others do not want to stoop to reach. It seems perhaps a metaphor for those things in life that require perseverance and effort in order to bring about the rewards – in this case the sweet-tart bliss which can be savored while you work your way down the rows. There is distraction! The berries over on the other side or further down the row look so much bluer, the same way the neighbor’s lawn seems to always appear greener, the most enticing pasture calling from the other side of the fence. But are they really? When you change direction and go after them, it turns out they are usually just as good as the ones where you were standing all along. If this wasn’t enough, then there are the raspberries, which take a bit more mindfulness I think, to deftly lift each branch and allow the ripened berries to fall into you palm without tearing the frond off the bush, to avoid the stickers, and to work among the honey bees. But the rewards seem all that much greater. The bees alight and bounce among the white raspberry blossoms. We coexist in that space in those moments. To date, I have never been stung by a honey bee while collecting raspberries, nor have my children. They tend to go about their business as you go about yours, and they will avoid you if they can. They usually do not land on the fruit, but seem only interested in the nectar of the flowers. The first time I encountered so many among the raspberries on a hot summer’s day, I was taken aback, yet found there is even peace working along side them, a cooperative consciousness. A day with a steady cool breeze is still best for picking raspberries, as the wind tends to blow the bees away. Today’s raspberry picking was sparse and not as rewarding. Sometimes that happens. 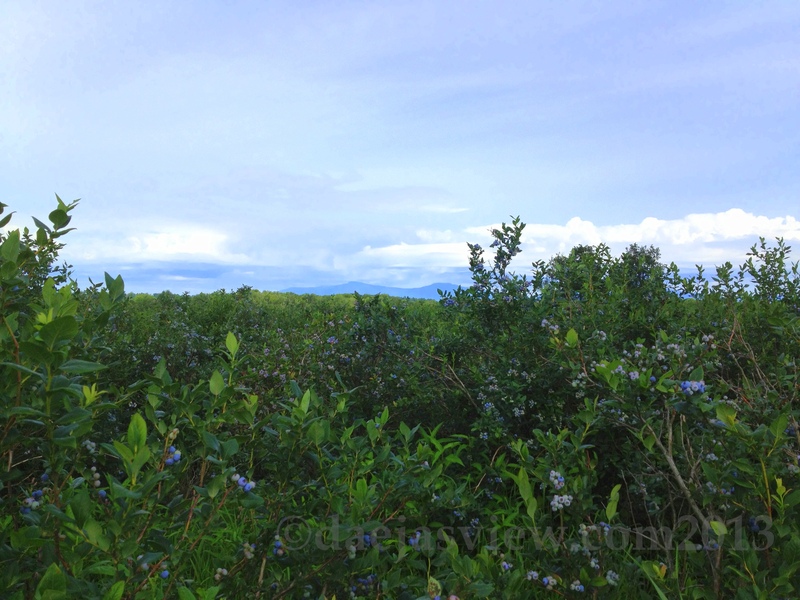 But today’s blueberry picking was bliss. I will put some up so the taste of these blue days of summer will be remembered long after this season has passed. 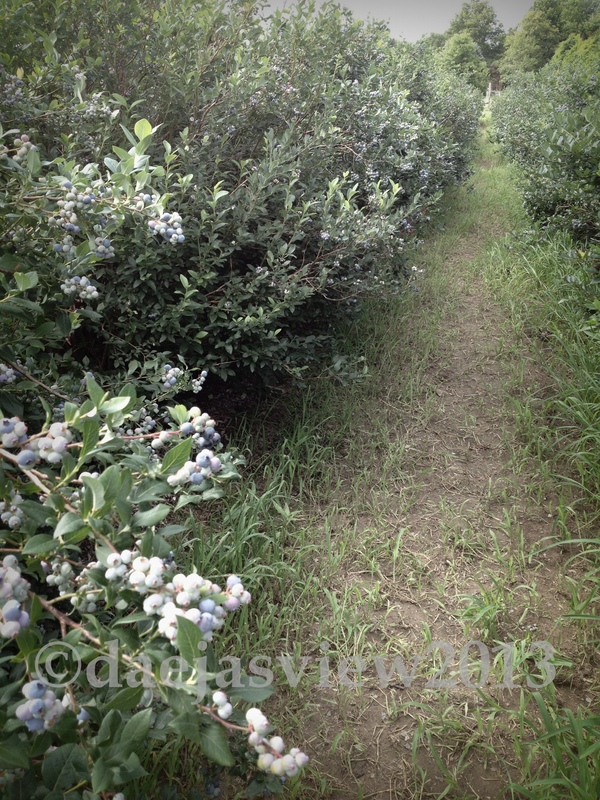 This entry was posted in Perspective, Photography and tagged blue, blueberries, farms, peace, Summer. Bookmark the permalink. Oh I do miss blueberries. 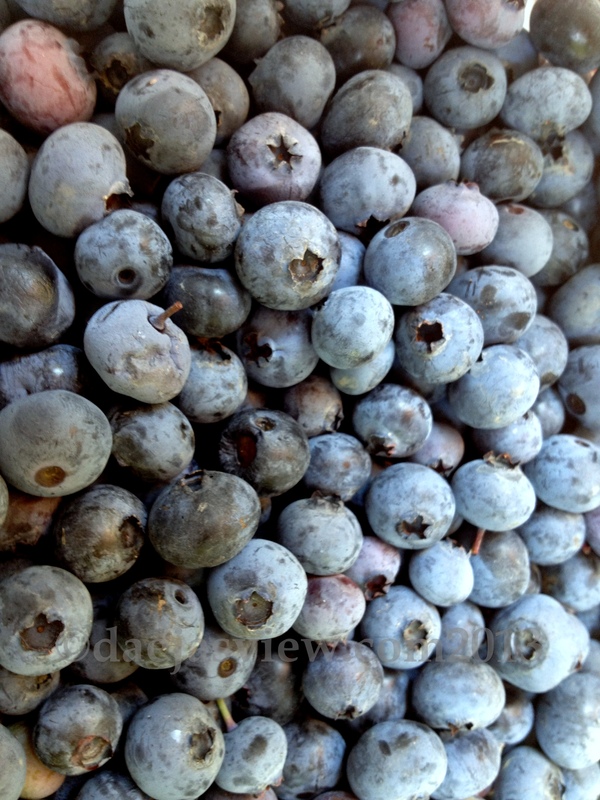 Florida blueberries taste like dust, and most of the time the blueberries in the store are from Chile – more dust. My son used to come home with a bucket of them – and it only took me a few days to finish them all. The luxury of nature’s bounties YUM. Well shoot. I was all set to suggest my Sweetie and I go blueberry picking. Then I read that Florida blueberries taste like dust. I suppose I’ll have to wait for orange picking season! Well you know, that was that particular reader’s opinion. 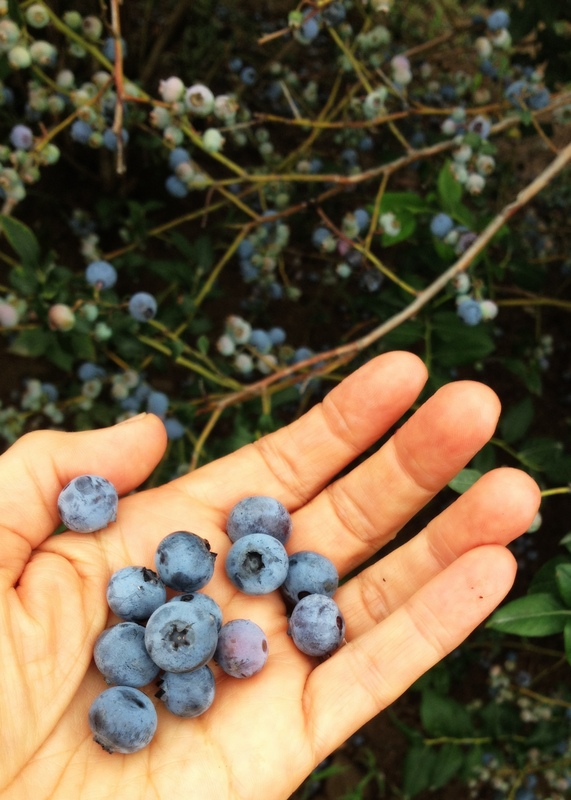 If I were you I would find out for yourself and go blueberry picking with your Sweetie. It’s not just about the berries, it’s the entire experience.